Drawing on a case study of English Devolution in the UK, Dr Sarah Ayres, Centre for Urban and Public Policy Research, examines the role played by ‘informal governance’ in shaping political innovation. Are we really witnessing a great ‘devolution deception’? As part of the ESRC’s Festival of Social Science, a debate took place in Bristol on 9/11/15 on the impacts of directly elected mayors on cities, including contributions from Baroness Barbara Janke, former Leader of Bristol City Council and Member of the House of Lords, Thom Oliver, Political Scientist, UWE, David Sweeting, Senior Lecturer, University of Bristol, and Ben Harrison, Centre for Cities. A lively debate included reference to George Osborne’s plans for cities and city regions, and particularly whether we are witnessing a ‘devolution deception’. Here, Ben Harrison argues the case against such an interpretation. To dismiss the Government’s devolution agenda simply as a “deception” is to opt out of a debate at the very time that real change is finally possible. I was recently in Bristol earlier this week speaking about the merits of directly elected mayors, when I heard a familiar refrain during the audience Q and A. Far from being a significant redistribution of power from the central state to local areas, the Government’s entire devolution agenda, the attendee said, was nothing more than a “devolution deception”. This is far from the only time I’ve heard this kind of critique put forward, not least from the national Labour party and its new leader, and earlier this week from the leader of the Liberal Democrats. But does it really stack up – is the Government really deceiving people when it comes to its intentions on devolution? Let’s examine the biggest concerns that tend to underpin claims that devolution is but a fig leaf for other, hidden policy agendas. A key part of the parliamentary opposition to the Government’s agenda has been that despite the rhetoric, the Devolution Bill does not identify a list of specific policies that will be devolved to a specific set of places, and therefore it won’t allow for the devolution of anything at all. In fact, the opposite is the case. The Bill is a deliberately generic and enabling piece of legislation that essentially allows for the devolution of almost anything – housing, health, welfare, policing and more – to a local level, and allows for different settlements to be reached in different places depending on local appetite and capacity. The only limit on devolution under the model will be the willingness and ability of local and national politicians to reach agreement on what will be included. And of course the experience in London, where the powers of the GLA has grown significantly since the turn of the century, suggests this picture can and will change over time. Yet despite the potential expansiveness of what is on offer, many still struggle to equate the current policy process with devolution because they see the Government setting the agenda and criteria for what will or won’t be devolved within the framework set by the Bill. If it’s a ‘top down process’, how could it possibly be devolution? The major factor that has led to the current round of city-region deals, featuring more substantial devolution than previous attempts to decentralise, has been the active involvement of the Chancellor of the Exchequer. George Osborne has had to deploy his own substantial political capital to set clear criteria that must be met to achieve devolution, and most critically, in order to prise control away from Whitehall departments (including the Treasury) who instinctively look to control and constrain any moves to push power down from the centre. That’s why it is not contradictory for the process of decentralisation to be set out and driven from the centre – in fact, in a country where central Government holds almost all the power, it is necessary if we are to see tangible progress made. In 21st Century Britain, the dominance of Whitehall departments, coupled with the lack of power held by UK cities, means that only the authority of the highest offices in the land can drive the devolution of real power to cities and city-regions across the country. A separate concern relates to the lack of transparency that has characterised the deals currently being negotiated between the Government and city-regions. Unlike in previous rounds of city and growth deals, proposals have not always been made public, and with goalposts shifting, councils have struggled to communicate to their communities and colleagues in the private sector what devolution will mean for their place. These concerns are understandable and should be addressed as a priority in the months to come – indeed already places are engaging in more detailed consultations on new arrangements for their places. But it is also important to recognise that these deals are being negotiated by politicians at a national level with a manifesto commitment to do so, and locally elected politicians with a mandate to represent the interests of their constituents. Equally, while other approaches may have been possible, the reasons why the process has to date been undertaken in this way are also understandable. The Government has deliberately eschewed setting out a ‘one-size-fits-all’ approach to devolution, and has encouraged places to come forward with their own proposals in time for them to be implemented during the coming Parliament. Agreeing these proposals requires political compromise and a willingness to take on, share, and give up different powers and responsibilities. The political reality is that these are often difficult and uncertain conversations that benefit from a degree of privacy, to allow for more honest and frank conversations to take place. It would be much harder, if not impossible, to conduct these negotiations in public. Finally, and perhaps most significantly in terms of an accusation that the Government has a “hidden agenda” when it comes to devolution, is the issue of cuts to local government budgets. Many believe that the Chancellor is in essence giving a little with one hand, but taking dramatically more with the other, while leaving councils with the responsibility to deal with the consequences for public services. There can be no doubt that local government has undergone significant resource reductions since 2010, and as we heard from the Chancellor this week, there will be more pain for the sector to come in this Parliament. Observers are right to suggest such moves signal a concerted effort to change the size and scope of the state, and that doing so raises profound questions regarding the future of public service provision. But to suggest this is some kind of hidden agenda is, I think, misjudged. Firstly, the Chancellor advertises his ‘austerity credentials’ proudly – they are a key part of his own personal brand and no one can have been surprised that the forthcoming Spending Review will feature more cuts. Secondly, whether one agrees with the ambition or not (and many do not), I think the Chancellor sees devolution as a necessary and complementary factor required to deliver a smaller state. The thinking here is, yes budgets will be dramatically smaller in the future, but the ability of (and imperative on) local leaders to drive efficiencies and new models of public service provision will be enhanced. Of course this is a political and financial judgement, and the merits of it can and will be contested, but on the Chancellor’s terms at least, devolution is not a distraction from austerity, but actually goes hand in hand with it. It is to be expected that many are suspicious of the impact devolution will have across the country, and that many remain sceptical regarding the Government’s commitment to truly give power away. We have, after all, been here many times before, and failed to see control wrestled away from the central state. Equally, given the scale of public spending cuts planned, concerns regarding the future provision of public services are also understandable. Yet to dismiss the Government’s devolution agenda simply as a “deception” is to opt out of a debate at the very time that real change is finally possible. It’s true that the prizes on offer today may seem modest, particularly when compared to the kinds of powers wielded by cities in Europe or America. But after decades of centralisation, the real questions those with doubts about the current agenda should be asking is how can we make sure that the incremental reform that is on the table today is delivered; how do we ensure that places do have greater ability to shape the way in which the forthcoming cuts affect them; and how do we ensure that, bolstered by newly established city-region leadership across the country, the devolution deals of 2015 mark the beginning of the story, not the end. This was first posted on the Centre for Cities blog. Despite growing recognition across the major political parties that the territorial system of government in England is in need of change, there remains no clear and shared imagery on how England should be governed within a devolved UK. Recent changes to the political and economic landscape of the UK, especially those arising from the economic crisis and the Scottish referendum result, have made it more vital than ever before to address the English Question in a cohesive manner. Enhanced devolution in England’s territories is a potential solution to the English Question. I make three central claims about what needs to happen if devolution in England is to work. My views are based on my own research that has examined English governance over the past decade (see –http://www.bristol.ac.uk/sps/people/sarah-a-ayres/overview.html). First, past attempts to address the English Question through enhanced decentralisation in England have been piecemeal, reactionary and have, therefore, proved unsustainable. The Prime Minister’s announcement, shortly after the referendum result, of constitutional reform at breakneck speed is risky and underplays the complexities of sub-national English governance. Second, UK government remains highly centralised despite past and present government rhetoric around decentralisation, local discretion and enhanced fiscal autonomy. Any constitutional settlement must address highly differentiated preferences for devolution and decentralisation across Westminster and Whitehall departments as well as deep-rooted cultures that promote centralism. Third, any moves to address the English Question must deal with England in its entirety and not focus on favoured geographies or localities at the expense of less favoured areas. The motives for enhanced devolution and/or decentralisation centre on three main areas (i) boosting economic productivity (ii) public service improvement and efficiency and (iii) pressures for enhanced democracy. These themes were also evident at the start of New Labour’s devolution project in 1997. The key motivations for decentralisation have therefore remained consistent – as too have the main barriers. These include Whitehall’s differentiated approach to decentralisation, highly variable local governance capacity, a lack of resources for local investment and a continued inability to join up policy in any meaningful way at a sub-national level. The assumption that these problems are easily solved or can be quickly overcome this side of a general election is flawed. The Government’s presumption of a quick fix post the referendum result raises fears that it has not fully understood the challenges of a post devolution UK. Recent evidence submitted to the McKay Commission (2013), for example, is a stark reminder of the political complexity of this issue. Is Westminster and Whitehall Ready for Devolution in England? The feasibility of enhanced devolution in England rests on political and ideological grounds and on the willingness of the Centre to accommodate a new constitutional settlement. But, how might this be enacted systematically across Westminster and Whitehall departments with different levels of support for decentralisation? One doubts that there has been a drastic change in the mood music across the civil service or amongst politicians since the Scottish referendum. This raises a question about whether the Government’s renewed commitment to devolution in England is any more feasible than past attempts to promote local autonomy and discretion under, for example, regionalism or localism. There is a danger that Westminster’s disposition for centralism will result in a settlement that creates the illusion of change without too much cost to its power and political priorities. Plans for enhanced devolution are likely to lead to greater geographical variations in policy design, delivery and evaluation. However, Whitehall has struggled to deal with variation between, for example, eight English regions and more recently 39 unelected Local Enterprise Partnerships (LEPs). This issue is likely to be compounded by recent public spending cuts across Whitehall. A reduced administrative capacity at the Centre has led to the greater use of ‘ad hoc’ procedures and ‘softer’ processes for managing inter-governmental relations as opposed to formal arrangements. More fluid structures are viewed as more suited to deal the complexity of localism and the problems of managing the sub-national tier with diminished resources. An issue will be whether these structures and procedures are robust enough to support future plans for enhanced devolution. The final point I make is that any planned response to the English Question will need to deal with England in its entirety. The Coalition government’s territorial focus in England on Cities and LEP areas has resulted in winners and losers due to different socio-economic conditions and variable collaborative capacities. Recent research indicates that many Whitehall civil servants referred to the ‘City Deal’ agreed with Manchester as the ‘aspirational model’ for greater sub-national control over public policy and finance. Nonetheless, the same officials also acknowledged that, for some, emulating this model would be a significant challenge and for others, impossible. Consequently, the variable capacity of emerging local governance arrangements has the potential to widen regional economic disparities further and lead to a greater sense of alienation from those areas that do not qualify for City Mayors, City Deals or Enterprise Zones. Heightened tensions between localities as a consequence of place based competition and more visible inequalities will do little to appease growing public demand for a fairer constitutional settlement. Devolution in England must be fair to all citizens no matter where they live. However, plans, for example, to empower cities raise important questions about social justice and spatial equality. Any new constitutional settlement cannot ignore rural or less buoyant areas, for example. Devolved politics is producing variable social citizenship rights in different parts of the UK. It will be essential to consider how policy divergence, variable economic benefits and differentiated inter-governmental relations will impact on localities and citizens. In sum, attempts to address the English Question through enhanced political autonomy in England have been the consequence of a set of reforms that lack an underlying logic and which are littered with contradictions. The big constitutional question about the future of the England post devolution in London and the devolved territories has not been addressed and there is no consensus in government about what the final constitutional settlement should be. New Labour’s reform agenda stalled at the 2004 North East referendum and, in the absence of a constitutional master plan, the outcome has been a set of reactionary and incremental adjustments that lack strategic direction, buy-in and focus. Moving forward the challenge for government will be to develop a solution based on realism, pragmatism and sustainability and to avoid politically motivated and reactionary policy this side of the general election. 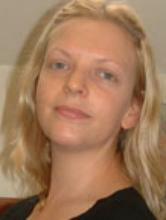 Sarah Ayres is Reader in Public Policy and Governance at the University of Bristol, UK, and is also Co-Editor of Policy & Politics.